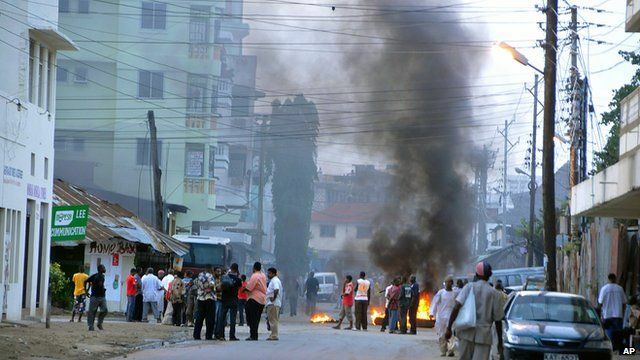 Riots have broken out in the Kenyan port of Mombasa, after a controversial Islamic cleric was shot dead. Aboud Rogo Mohammed was suspected of being a key recruiter for Kenyan Muslims fighting in Somalia. It is not known who shot him, but he was on a United Nations sanctions list for allegedly financing the militant Somali group al-Shabab.